Pastor Roy Polman from Beaumont, California, is one of several police chaplains featured in an article this weekend in local news media. Here is an excerpt from the article–to see the entire article, click here. Pastor Roy Polman, of Cherry Valley Grace Brethren Church, spent one year as a chaplain with the Troutdale, Ore. Police Department., then 13 years with the Rialto Police Department. 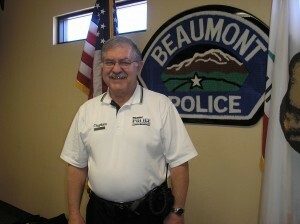 He has been with Beaumont Police for 1½ years. Polman, 64, of Cherry Valley, graduated from Grace Seminary in Winona, Indiana in 1973. He became pastor of Grace Brethren Church in Troutdale and served there until 1979 when he and wife Judy – the parents of four children – moved to Elyria, Ohio, to pastor at a church there. Four years later, he returned home to Grace Community Church in Rialto as pastor – the same church he attended as a child and his father, Gerald Polman, was pastor from 1959 to 1969.